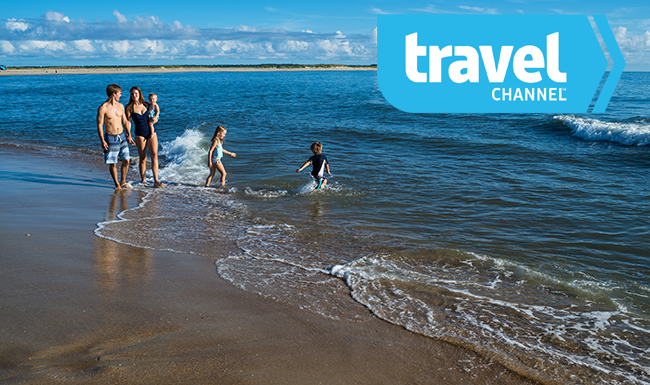 The Outer Banks of North Carolina is January’s destination of the month on the Travel Channel. Broadcast internationally, this means viewers from all over the world are getting a glimpse into the secret many loyal visitors have known for generations — a vacation on the Outer Banks is one of the best ways to make lasting memories. From early morning walks along the un-crowded sandy shoreline as the sun makes its first appearance over the horizon, to staying up late into the night for deep conversations, breathing the salt air and gazing into the star filled skies, few places can match the beauty of the Outer Banks. Recent press for the Outer Banks is as hot as the July sun with another recent mention in Travel and Leisure as one of the 18 best cities in America for solo traveling. Add this to the annual awards typically bestowed like U.S. News and World Report’s “#1 Family Beach Vacation” and the Outer Banks – Hatteras Island especially – is a sure bet for vacation fun! Don’t wait – book your family vacation today and start your countdown to fun-filled days in the sun.